Join Harry Knowles as he talks about his new television series, Ain’t It Cool with Harry Knowles, an inventive and visual romp through of some of the favorite films and genres loved, admired and sometimes even scorned by the iconoclastic film, television and pop culture critic. Set in his “magical basement” full of rare and unique movie memorabilia, Knowles is joined by “Pops,” his miniature projectionist, and “Boiler,” his alter-ego and the millennial equivalent to “Oscar the Grouch” and “Chairy” from Sesame Street and Pee-Wee’s Playhouse fame, respectively. Emmy Award-winning writer/director Brett A. Hart started his journey making films as early as 11 years old. By high school, he had already found his mentor in director Richard Franklin, Psycho II/Cloak & Dagger, and was quickly taken under his wing and taught the mechanics of feature filmmaking. Winner of multiple awards, Brett has had the honor of working on many high-profile projects and considers the opportunity of directing film icon James Garner in a series of commercials in 2006 a career highlight. In 2007, Brett earned his first Emmy after catching the attention of Jeff Kreiner, Senior VP of Marketing for CBS News & John Stewart's, The Daily Show, in which one of his unconventional Tornado promos was showcased. Shortly after, Brett made the leap from commercial film directing with his feature film debut, Bone Dry. The desert thriller stars Luke Goss, Lance Henriksen, Tiny Lister and Dee Wallace and was photographed in Death Valley during the height of record-breaking temperatures that summer. 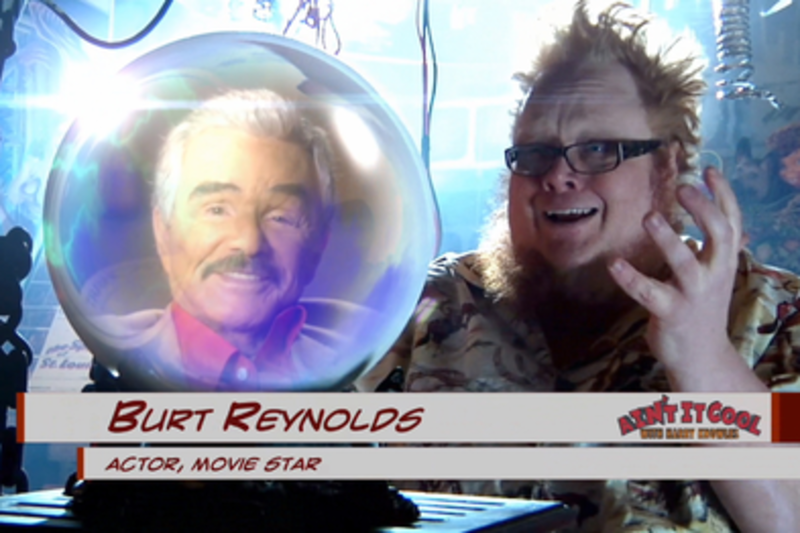 Brett considers his creative alliance with Harry serendipitous and feels the collaboration on all of the 30 episodes of the first season of, Ain't It Cool with Harry Knowles, one of the most enjoyable times in his career. In February of 1996, Knowles launched the website, www.aintitcool.com, which would eventually become the one and only, "Ain't It Cool News." Due to the enormous popularity of the website, Harry has been sought after by countless mainstream media, including magazines, newspapers and television news programs. In the year 2000, he was ranked #95 on Forbes, “Celebrity Power List,” and in 2008, #9 on Forbes, "Web Celeb 25." Knowles has made guest appearances on television shows such as, "Siskel & Ebert at the Movies," and "Politically Incorrect." His new television series, "Ain't It Cool with Harry Knowles," is a spinoff of the website and just made it's broadcast debut on Austin's award-winning PBS affiliate's younger, hip channel, KLRU-Q. Jaime Gallagher is a producer, actress and casting director. In 2014, she produced the avant-garde horror short film, "Not Well," starring Erin Cummings and, "King Ripple," starring Keith Stanfield. Jaime was also a co-producer on the psychological horror short, "Kadence," and enjoyed a strong supporting role with an all-star cast. She has also appeared in numerous feature ﬁlms and television series such as, "Ocean's 11," "Red Wing," "Unbreakable," "Zoolander" and HBO’s, "The Newsroom." Additionally, Jaime and her casting partner Sara Wallace cast the sci-fi short, "Bunker," which made a nice mark on the worldwide festival circuit and a host of Caliber Media’s ﬁlms, which include the highly anticipated action flick, "Chuck Hank & The San Diego Twins," the post apocalyptic feature, "Hot," and the indie slasher, "Some Kind of Hate." Jaime and Sara are currently casting three features, "Untitled Will Wallace Project," "Stagecoach," "Geo Tag," a pilot, "The Monroes," and the AFI Thesis, "Losing It."